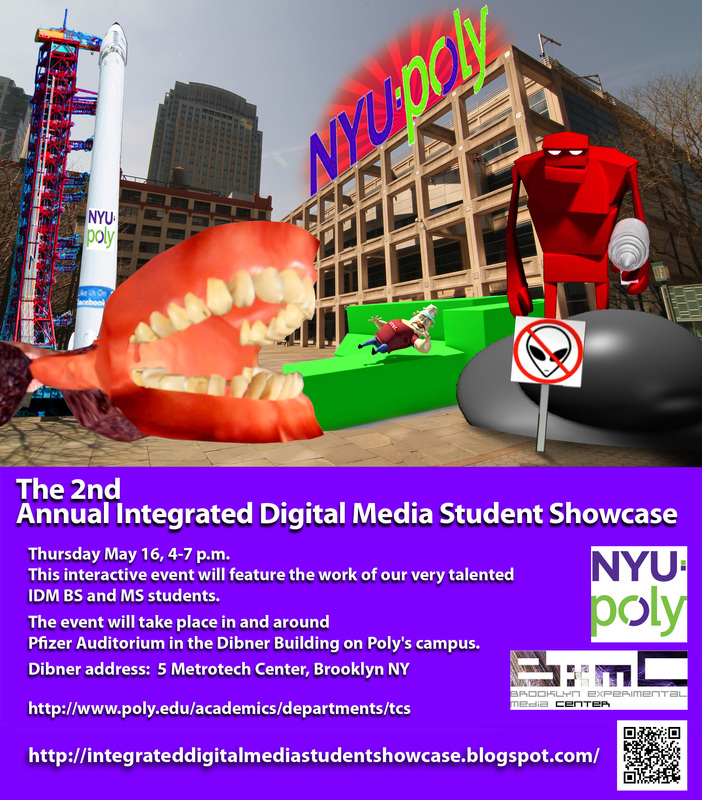 POSTED BY: Mark Skwarek | Tue May 7th, 2013 1:04 a.m.
NYU Polytech’s 2nd Annual Integrated Digital Media Student Showcase is happening on May 16th, 4-7 p.m. This interactive event will feature the work of our very talented IDM BS and MS students. The work will include: 3D graphics, augmented reality, digital video, drones, mobile apps, physical computing, sound, video games, and web design. The event will take place in and around Pfizer Auditorium in the Dibner Building on Poly’s campus.